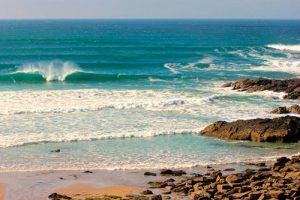 Coasteering – What to Expect? 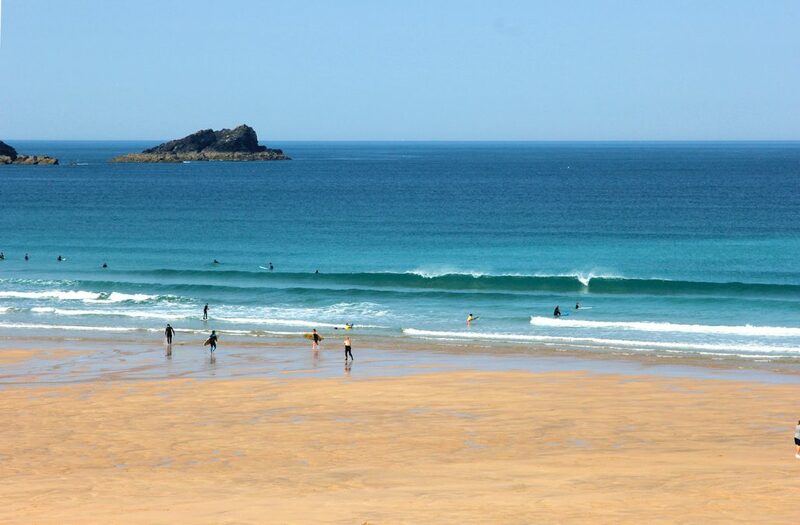 most renowned beach in Cornwall! 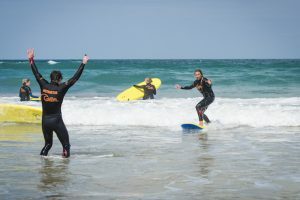 Our Group Surf Lessons in Newquay are a great way to get an introduction into surfing and enjoy time on the beach in a safe environment. Our open group lessons give you the chance to learn in a supportive and friendly atmosphere, join the group as an individual or bring some friends, we cater for all ages and abilities. Our instructors are able to helps kids and adults (even if you are a total beginner) to have fun in the water. 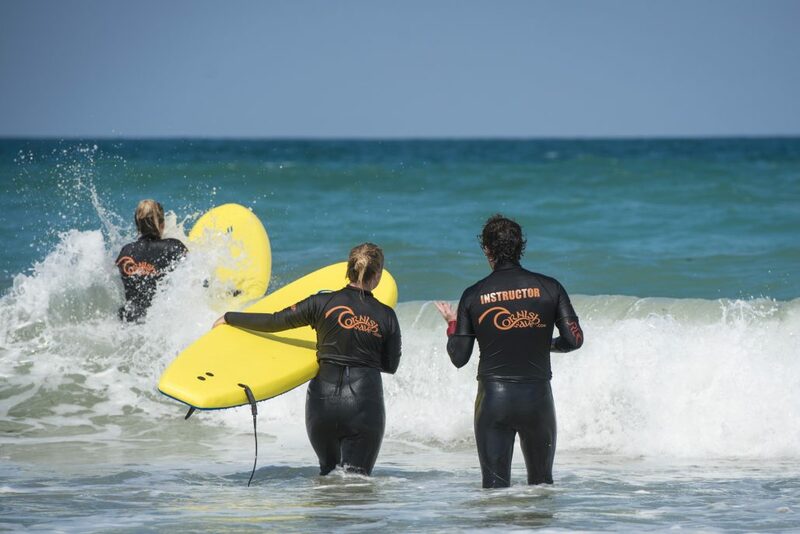 All of our instructors are trained to be able to give you the best chance of learning to paddle properly, stand on a board and simply become better surfers. 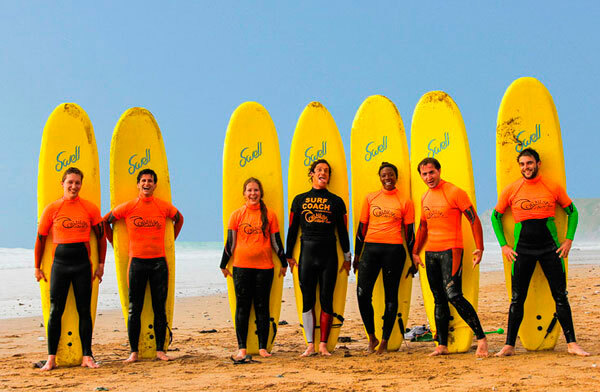 For a more personalised experience our private surf lessons may be a better option. All activities are two hours long from once the group is ready. A warm welcome awaits you by your surf instructor, you’ll be sized up for your wetsuit before being handed your surfboard. You’ll need your swimming costume, a towel and some shoes for the beach. Once everyone is ready it’s a short walk to either of the beaches where your coach provides an overview of your lesson. The aim of our group lesson is to pass on enough information for you to feel confident to surf in your own time. 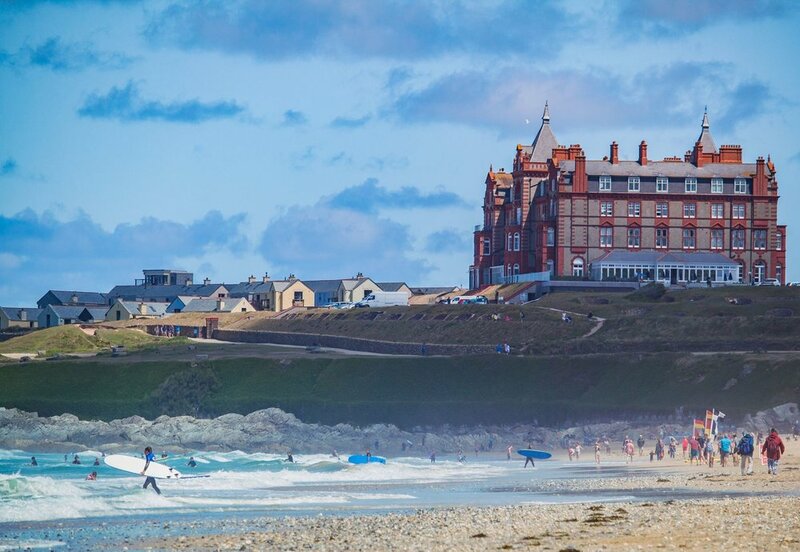 You’ll learn beach, surf and board safety, before practising your prone surfing and catching waves on your stomach. After some further tuition back on the sand, it’s time to test out your pop up skills and ride waves back to the shore looking the part. WHERE DO WE MEET YOU? You’ll need to arrive at our base at your lesson time. You can find us at 4 Alma Place, Newquay, Cornwall, TR7 1NF. Look for the blue building opposite Sainsbury’s. WHICH BEACH DO WE GO TO? 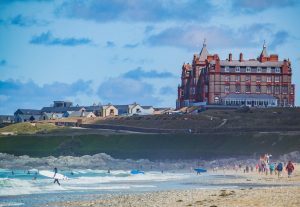 We are based in the heart of Newquay and are a short walk from both Towan & Fistral beach. 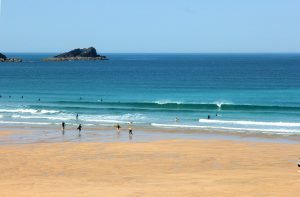 The tide and surf conditions of the day will decide which beach is best suited. The minimum age for group lessons is 8 years old. Where possible we keep children and families together. We offer a range of private surf lessons for younger children under the age of 8. CAN I WEAR GLASSES IN THE SURF? We’d suggest throw away one a day contact lenses for wearing in the sea. Click here to view our comprehensive list of frequently asked questions. 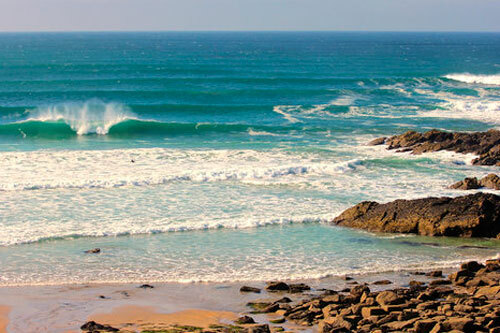 If you don’t see availability for the date you want please email us using hello@cornishwave.com or call 01637 872031 between 7am & 9pm each day. 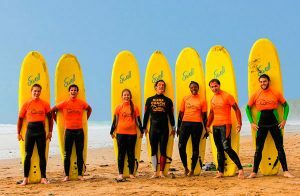 Our Group Surfing lessons are one of our most popular with many individuals coming together to have flat out fun! 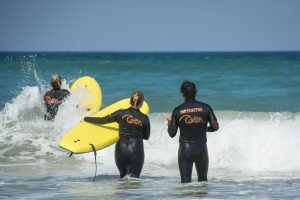 Enjoy what Cornwall, Newquay beaches have to offer with a qualified surf instructor in a safe and secure environment. Get in touch today by using our contact us page, send us an email using hello@cornishwave.com or give us a call on 01637 872031 between 7am-9pm each day. between 7am - 9pm each day.